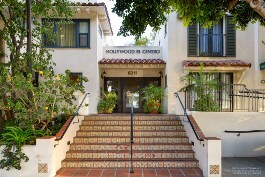 Hollywood El Centro is an 88-unit, Section 8/Tax Credit property located in Hollywood, CA. The waiting list is currently closed. Hollywood El Centro is located just south of the Sunset & Vine intersection within close proximity to theaters, shops, restaurants, a post office, metro lines, police and fire stations and the Hollywood Community Hospital. The property offers studios, one, two and three bedroom units. All units include a full kitchen, air-conditioning, window blinds and wall-to-wall carpeting and vinyl flooring. The building is set within a beautifully landscaped and gated community that offers a spacious community room with computers and a sitting area, a basketball court, barbecue area, laundry room, and parking. Resident activities include monthly birthday parties, English language classes, arts & crafts classes, and trips to Dodgers games, casinos and museums.